2. Simply Natural Therapies is committed to complying with Commonwealth legislation governing privacy of personal information by businesses and to protecting and safeguarding your privacy when you deal with us. 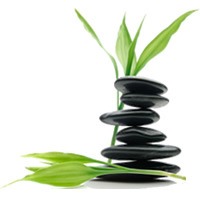 If you contact Simply Natural Therapies, we may keep a record of that correspondence. 8. Our web site may contain links to other web sites and those third party web sites may collect personal information about you. We are not responsible for the privacy practices of other businesses or the content of web sites that are linked to our web site. Simply Natural Therapies encourages users to be aware when they leave the site and to read the privacy statements of each and every web site that collects personally identifiable information. 9. Simply Natural Therapies places a great importance on the security of all information associated with our customers and contractors. We have security measures in place to protect against the loss, misuse and alteration of personal information under our control. 11. Simply Natural Therapies retains the information you provide to us including possibly your contact and credit card details to enable us to verify transactions and customer details and to retain adequate records for legal and accounting purposes. This information is held on secure servers in controlled facilities. 13. No data transmission over the Internet can be guaranteed to be 100 per cent secure. As a result, while we strive to protect user’s personal information, Simply Natural Therapies cannot ensure or warrant the security of any information transmitted to it or from its online products or services, and users do so at their own risk. Once Simply Natural Therapies receives your transmission, it makes every effort to ensure its security on its systems. 14. Simply Natural Therapies is committed to maintaining accurate, timely, relevant and appropriate information about our customers and web-site users. 20. Simply Natural Therapies collects information from the site using “IP files”. 21. When you visit the Simply Natural Therapies site to read, browse or download information, our system will record/log your IP address (the address which identifies your computer on the internet and which is automatically recognised by our web server), date and time of your visit to our site, the pages viewed and any information downloaded. This information will only be used for the purpose of site analysis and to help us offer you improved online service. We may automatically collect non-personal information about you such as the type of Internet browsers you use or the site from which you linked to our Web Sites. You cannot be identified from this information and it is only used to assist us in providing an effective service on our Web Sites.